With the 3M™ H-700 Series Hard Hat with Uvicator™ Sensor, you’ll know when it’s time to replace a hard hat due to extended UV exposure. The sensor changes from red to white as it is exposed to UV light, alerting the wearer that it’s time for a replacement. Learn more at 3M.com/H-700. Empower your safety programs with real-time safety monitoring! When an incident occurs, Blackline’s Loner solutions communicate a real-time safety alert, with location, to personnel for an efficient response. 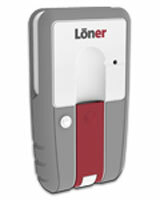 Loner solutions are easy to use, economical, and non-intrusive. 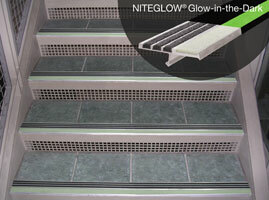 Features include man-down detection, emergency latch and True Fall Detection technology. 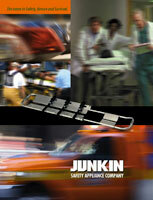 Intrinsic safety coming soon. The Career Paths in Safety” brochure offers certification options at basic, technician or technologist and professional levels. It outlines safety education, experience and job roles. “Career Paths in Safety” includes information on Board of Certified Safety Professionals certifications (including CSP, OHST, CLCS, CHST and STS). Get your labeling jobs done faster and easier with Brady’s new BMP®51 Label Maker. This portable printer has a large display, easy-to-use label apps and wireless printing options. It prints on 20 different materials at a speed of 1” per second! Perfect for barcodes, lean, shelves, bins, pipes and more! Choose GasAlertQuattro for safety at-a-glance. Only GasAlertQuattro features IntelliFlash, a green LED that flashes continuously to let safety managers know that the crew is safe, the site is compliant and the job is productive. With four-gas monitoring, easily identifiable bump test/calibration icons, power options that outlast your shift and one-button simplicity, seeing is believing. C.A. Short will develop a behavior-based, pro-active safety performance program through a mix of best practices, training and online learning, interactive webinars, advanced performance software as a service (SaaS), site visits, recurring consultations, communications programs and thought leadership. Free monthly webinars offered by Caterpillar Safety Services will educate participants on a variety of safety culture topics. Each month Senior Safety Consultant Dr. Mike Williamsen presents a new topic that will help elevate your organization to the next level of safety. Learn more and register today. Columbia Southern University offers completely online associate, bachelor’s or master’s degree programs in areas such as occupational safety and health, emergency services management and organizational leadership. Flexible class structures, complimentary tutoring, financial aid and more are available! Find out how CSU can help you blaze your path to success. 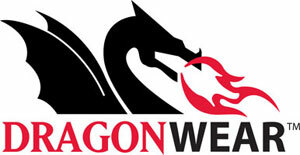 DragonWear™ provides lightweight, breathable, fire resistant, hi-viz clothing that's fire- and arc-resistant. DragonWear FR fabrics are tested in both in-house and independent state-of-the-art laboratories and pass industry certifications. We strive to provide innovative products at competitive prices, and then back them up with a lifetime warranty and sincere customer service. The Utility Catcher™ clip is a versatile “Catch-All” for everything you haven’t already “caught.” Originally designed as an easy and convenient way to keep up with a helmet, the Utility Catcher™ is actually a multipurpose clip that can be used to keep up with tools, PPE items and much more! MAXimum Protection. Minimum Exposure. The world’s most popular polyurethane foam earplug, MAX offers superior attenuation in a single-use earplug, delivering superior long-wearing comfort and solid performance that your workers can depend on. Plus, our new MAX Small delivers the same comfort as our flagship MAX, in a 20% smaller size! Try MAX and MAX Small at www.howardleight.com/trymax. GHS Safety. Workplace Training and Compliance Products for the Globally Harmonized System (GHS). Click here for more information from INCOM Manufacturing Group. Safety Protection from Head to Toe. Personal Protective Equipment from J. J. Keller can help you meet OSHA's requirements regarding protecting employees from potential hazards in the workplace. 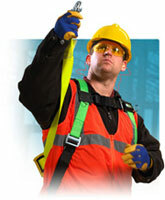 Our PPE selection includes: safety glasses, fall protection, respirators, gloves, ear plugs, safety vests, hard hats and more. Visit jjkeller.com/ppe today! Click here for more information from J.J. Keller & Associates, Inc.
Manufacturers a variety of Safety and Rescue equipment including: Basket Stretchers, Plastic Stretchers, Aluminum Break-apart Stretchers, Air-Rescue Stretchers, Aluminum and Steel Pole Stretchers with Vinyl Covers, Stretcher Kits, Stretcher Accessories, Wooden and Polyethylene Backboards, Evacuation Chairs, First Aid Equipment and Fire Blankets. The new Fusion Roof Anchor Post (RAP) from Miller Fall Protection is a versatile single-point anchor that adapts to a wide range of roof designs. It protects the worker by maintaining a secure connection to the structure in the event of a fall. Quick, easy attachment to the roof surface, the Fusion RAP reduces installation time by more than 50%. Sound Examiner with free DMS offer. 3M™ Sound Examiner SE-400 Series advanced, integrating sound level meters compute the average sound pressure level over run time. 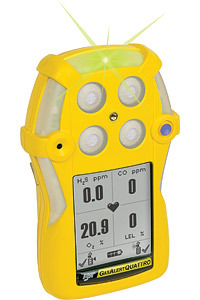 These data logging instruments use Detection Management Software DMS, included free of charge with all new 3M™ Quest data logging instruments ordered thru June 30, 2012. 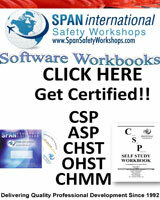 SPAN is the world leader in safety professional exam preparation workshops, self-study workbooks and software. Take your career to the next level – get certified (ASP, CSP, CHST, OHST, CHMM, CHMP, CET). Wiley X Climate Control Series eyewear functions as two pieces of safety eyewear in one: removable gaskets seal out dust and hazardous substances allowing them to function as a goggle. 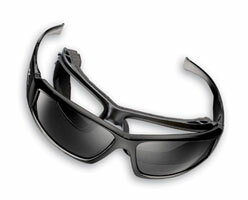 Remove the gaskets and you have a premium safety glass that employees will want to wear, on the job or off. Uvex Bayonet strikes the perfect balance between high performance protection, comfort and sleek styling. Proprietary Uvex® lens tints, coating technologies and impact protection make Uvex Bayonet an excellent fit in almost any safety eyewear program. 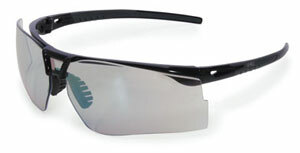 Add to that its tapered temples, sport-inspired lens shape and enhanced comfort features, and the Uvex Bayonet addresses workers' need to look good and feel good on the job. Click here for more information from Wooster Products Inc.